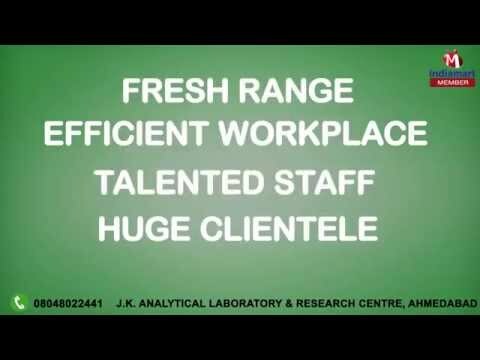 J.K. Analytical Laboratory & Research Centre are listed among the popular and trustworthy service provider organizations of the industry dedicatedly engaged in providing quality assured assortment of Detergent Cake Testing Services & Chemical Testing Services. Under our services range we are offering MSDA Testing Service, Detergent Cake Testing Service and Soap Testing Service. Offered services are highly appreciated by our clients for their timely completion, accurate solution and accurate results. We are offering these services with the help of highly qualified and experienced professionals. We have recruited the domain experts which assist us in their area of expertise and enable us to cater the world class array of services. We are fully backed by our highly upgraded and well equipped testing facility. With the help of our highly efficient work force, we are able to deliver our provided services correctly as per the set guidelines. Owing to these services, we have created a huge client base across the country.